Dr. Lee-Benner selected as one on America's Top Physicians! one on America's Top Physicians! 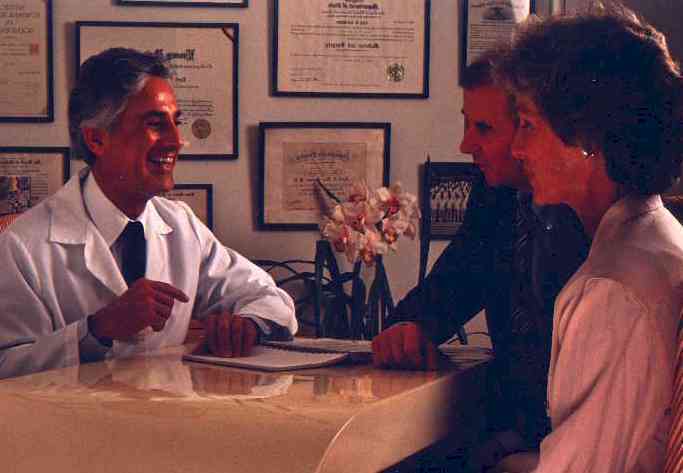 Dr. Lee-Benner has been practicing anti-aging medicine since 1970. Human life-expectancy is rising as a result of advances in modern medicine. Older people are living longer, thanks to advances in modern medicine. So what if you do add on another 30 years to your old-age? Who wants to have another 30 years of decrepit old-age? I am not interested in that. I am only interested in adding life to your years, not years to your life!!! No one can stop the process of aging. Today there are a great number of self-styled experts (with expensive products and programs to sell you) who say they can -- but don't believe them! However, the good news is that by applying recent advances from biomedical research, it is possible to slow the rate of the aging process, and even slow and reverse some of the effects of aging. Aging is the result of cumulative cellular damage that begins to occur from the moment of conception. As you reach physical and sexual maturity, the cumulative rate of damage increases in speed and intensity. The longer you wait to attack your rate of aging the harder it is to get it under control and the harder it is to reverse its effects. If you start by the time you are thirty using all the means available to you from recent scientific advances, it may take you only three to six months to get it under control. If you wait until you are fifty to sixty, it will take you three to five years! And, you may be at serious risk of death or disability by then; which adds to the complexity of your therapy. In other words, dont wait too long to start the fight against aging. You are kidding yourself if you think you can go along blithely ignoring your bodys aging and decay until you reach old age, and then expect some magic potion to rescue you and make you young again. I can not help people once the damage has gone too far. I urge you to start my program as soon as possible; certainly by your mid to late thirties, and absolutely by the time you reach the age of fifty. After that it may be too late for you to do very much about the progressive downhill decline to frailty, fatigue, weakness and disability in your declining years. Rather than having to face that dismal prospect, my goal is for you to keep yourself youthful and vital until the final days of your life. Look at me, I am doing it. You can too! The key is to get help early enough while the window of opportunity is still open. The longer you wait, the less effective therapy will be.  The "Longevity Determinator" Telomere Theory - gradual shortening of the telomere with each cell division triggers cell senescence.  The body shrinks in size.  Fat is added inside your blood vessels.  Fat is added inside your organs.  Protein is lost from your bones.  Protein is lost from your brain, heart, kidneys and lungs.  Face shape becomes thinner because of bone loss.  Nose becomes larger from cartilage growth.  The waist enlarges from fat accumulation and intestinal organ growth causing the waist-hip ratio to reverse.  The spine shrinks and curves with overall height loss.  Heart muscle turns to fiber. In 1970, Dr. Lee-Benner decided from his years of study and clinical trials that aging is a fatal disease. It is a disease that is an inevitable, incurable process of physical decline, illness, and frailty, ultimately leading to death. Moreover, he learned many are aging faster than the average rate of aging. This is called �accelerated aging.� Largely overlooked, this condition is either feared, ignored, or just plainly misunderstood. From that time he has been spending his research efforts on discovering and perfecting techniques with which to treat and prevent these changes related to aging. In order to promote youthfulness well into advanced age, he found that traditional methods popularly practiced,� the conventional wisdom,� of diet and exercises were not enough. It was then that he proposed the �Growth Hormone Hypothesis,� stemming from the neuroendocrine changes he observed occurring while studying his patients as they grew older. He discovered growth hormone deficiency to be a prevalent factor in many of his patients, and decided this might be a novel means to combat one aspect of aging. He theorized that in addition to Free Radical Damage, and Immune Decline, there must also be Neuroendocrine Decline. So, he started testing his patients for human growth hormone deficiency, and treating those found deficient with human growth hormone. The results were significant improvements in lean body mass, bone density, immune function and fat loss, as well as an improvement in mental attitude (by quality of life measurements). That was long ago, requiring growth hormone which had to be extracted from cadavers, was difficult to obtain, obviously scarce, and very costly. As an alternative, he began offering his patients treatments from a class of drugs that are FDA approved for the treatment of Parkinson�s disease called dopamine-agonists. These, he found would stimulate the brain�s release of its own store of growth hormone. He also instituted the use of amino acid supplements that were known precursors to brain neurotransmitters which enhance cognitive function and slow the onset of cognitive decline.